Mediators seeking to peacefully roll back a military coup in Burkina Faso said they negotiated a draft deal to end the crisis despite failing to secure the immediate restoration of civilian rule. New and more inclusive elections in November have been proposed as military leaders said the general behind the coup will lead the country during the transitional period. The proposed plan will be taken up Tuesday in Abuja, Nigeria, by West African member states of the regional bloc known as Ecowas. 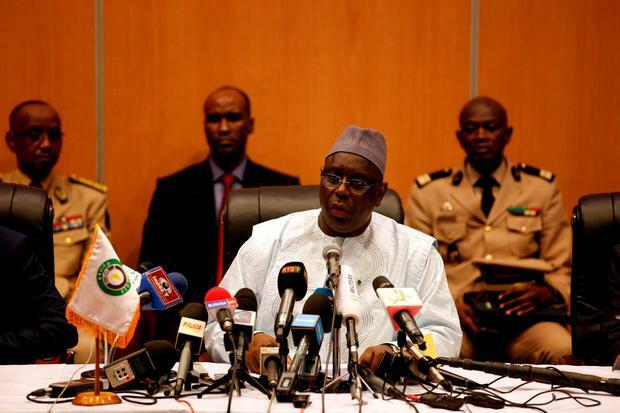 The announcement by Senegal's President Macky Sall comes after a day fraught with tensions that began with an attack by pro-coup demonstrators and elite presidential guard soldiers on the hotel hosting the talks. Earlier in the day, angry protesters had clashed outside the hotel where negotiations were taking place, with some shouting: "No to Diendere! No to military rule!" The turmoil began on Wednesday when the military arrested Burkina Faso's interim president and prime minister and then installed a military general as head of state a day later. The power-grab less than a month before national elections prompted the African Union to suspend Burkina Faso, and prompted condemnation from the international community. 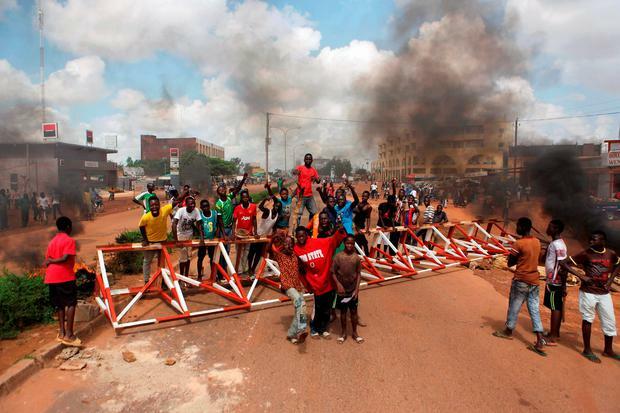 The junta has so far failed to gain nationwide traction for its coup, and outside the capital on Sunday, including in the second largest city Bobo-Dioulasso, people opposed to the putsch demonstrated without the interference of security forces. Mediators had expressed optimism about their progress over the weekend but on Sunday it was clear that the junta still wanted General Gilbert Diendere to remain in charge, a caveat unlikely to be accepted by other countries. The draft agreement released by mediators late Sunday calls for the return of ousted interim president Michel Kafando, until elections no later than November 22. A vote had been scheduled for October 11, but the military general said after the coup that he thought that date was too soon to organise a proper election. In a concession to the coup leaders, mediators said the plan would allow allies of ex-president Blaise Compaore to take part. The coup leader, who is a long-time close associate of the long-time president, had cited the electoral code prohibiting former ruling party members from running was one of the main reasons for the power grab. Also agreed was a general amnesty for the military for any acts committed during its coup. 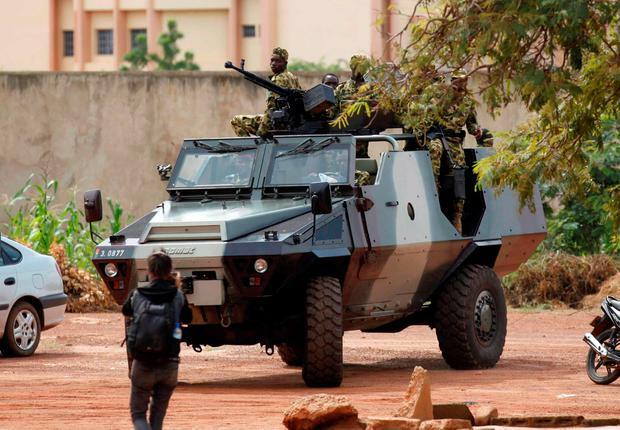 At least 10 people have been killed and more than 100 injured in the crackdown on anti-coup demonstrations in recent days, a worker at the Yalgado Ouedraogo Hospital in Ouagadougou said on Saturday. 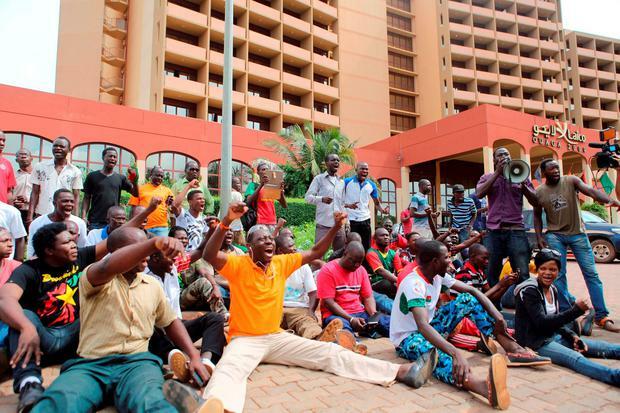 Protesters in Burkina Faso late last year forced Mr Compaore from office after 27 years in power after he tried to amend the constitution to prolong his rule. Gen Diendere has said he has had no contact with the ousted president, adding he will do everything to "avoid violence that could plunge the country into chaos".